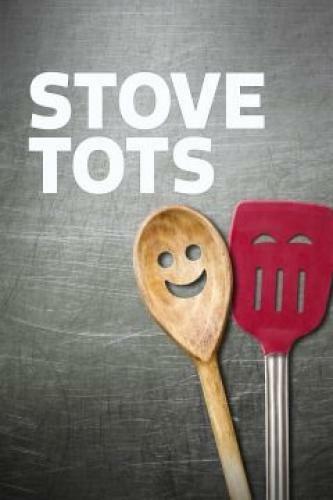 When will be Stove Tots next episode air date? Is Stove Tots renewed or cancelled? Where to countdown Stove Tots air dates? Is Stove Tots worth watching? Stove Tots follows the next generation of cooking masters – young maestros of the kitchen – as they prepare and compete in cook-offs across the US. These culinary prodigies have sophisticated palates, impressive knife skills, competitive drives and extremely involved parents. Each episode will feature a new group of culinary wunderkinds, along with their overbearing parents, as they prepare recipes, search for inspiration and deal with the pressures of competition. It all leads up to competition day, where three culinary phenoms will go head-to-head in a two-round elimination tournament. Viewers will also get to know the junior chef's background; how they got into cooking; ways they prepare and train to compete; and why they are pursuing a future in the culinary world at such a young age. It's the mad scientist, versus the fashionista chef, versus Mr. International, in the kids' culinary fight club "Michelin Stars" challenge. Chefs must prove they have what it takes to create dishes at a level only few chefs can ever hope to attain. Nervous moms, over-ambitious dishes, and some technical difficulties threaten to derail their quest to be the best. It's the passionate chef, versus the golden child, versus the strategist, in the kids' culinary fight club "melting pot" challenge. Chefs are tasked with creating five star dishes from foreign countries. While the chefs try to reach new culinary heights, the parents are getting down and dirty as one mom pushes the limits farther than they've ever been pushed before. It's the business woman, versus the celebrity chef, versus the wild card, in the kid's culinary fight club "street food" challenge. Chefs must create delicious dishes on a stick, then up the ante with a fine dining twist. There's screaming, crying and even talks of sabotage--things get downright sticky for the parents as they struggle to control their minions. 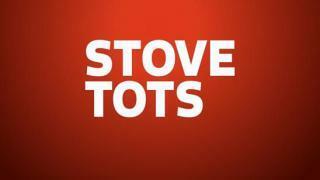 Stove Tots next episode air date provides TVMaze for you. EpisoDate.com is your TV show guide to Countdown Stove Tots Episode Air Dates and to stay in touch with Stove Tots next episode Air Date and your others favorite TV Shows. Add the shows you like to a "Watchlist" and let the site take it from there.